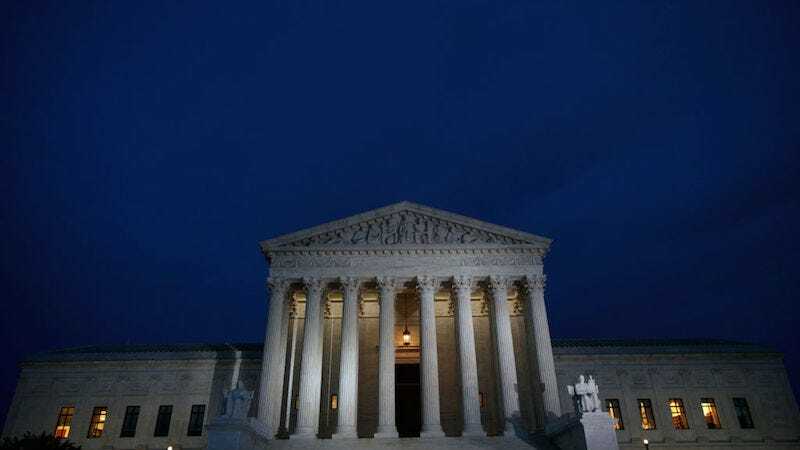 In a 5-4 decision, the Supreme Court ruled on Monday that Ohio did not violate federal law by purging voters from the state’s rolls if voters did not vote for two years and failed to respond to a confirmation notice sent by the state. The case stemmed from a lawsuit brought by software engineer Larry Harmon. In 2015, Harmon went to vote on a state ballot measure only to find that he had been removed from the voter rolls. After sitting out a few elections, Ohio sent Harmon a confirmation notice that, because Harmon did not respond, triggered the multi-year process of removing him from its rolls. The New York Times reports that federal laws (the 1993 National Voter Registration Act and the Help America Vote Act) prohibit states from removing voters simply “by reason of the person’s failure to vote.” The laws, however, allow states to send a notice if election officials suspect the voter has changed addresses. At issue was whether or not the failure to vote was a legal “trigger” to send a notice. Justice Samuel Alito wrote the majority opinion. Alito wrote that states cannot remove voters simply for not voting but that was not the case with Ohio which, he wrote, “removes registrants only if they have failed to vote and have failed to respond to a notice.” Alito continued: “A state violates the failure-to-vote clause only if it removes registrants for no reason other than their failure to vote.” Ohio, he wrote, followed the law “to the letter” by waiting six years to remove a voter from its rolls.